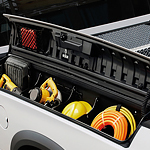 When Laplace drivers are looking for a new cargo van, they have many options to choose from. 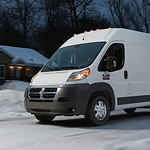 However, there are few that offer the same level of capability as the always-popular Ram ProMaster. There are many cars available to you today and each has its own unique features. The Dodge Challenger is a popular muscle car and a car that has an interior that will make you happy. Are you someone who likes to take your friends with you on the road? Are you trying to find a vehicle that will keep your friends complaining about lack of space? The Dodge Challenger provides you with a good amount of passenger space. You can keep everyone happy when you purchase this car to drive around. The Ram 2500 shines when it comes to hauling heavy loads. Whether you want to use it to haul your travel trailer across country or haul a tractor on a flat bed, the Ram 2500 can handle the load. 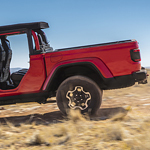 The Jeep Gladiator is an all-new pickup truck, introduced in Spring of 2019. This truck combines the rugged practicality of Jeep with the classic structure of a pickup. Put together, those two American classics combine to make something new and incredible. The Jeep Gladiator is visually unique, with an athletic, arresting stance. The front end is closely modelled on the classic Jeeps of the past. The ruggedness that served the Army so well in the 20th century is captured here, too. The cabin is spacious and surprisingly comfortable. Many drivers have never had to deal with a car safety recall. The informed driver is a safer driver, however, and that's why it's important to know what a car recall is and how to deal with the situation. The National Highway Traffic Safety Administration (NHTSA) sets federal vehicle safety standards. When this administration determines that a specific car model doesn't comply with the standards, the carmaker issues an alert. They usually send letters to all affected drivers, and these letters include information about the safety defect and its potential risks. Not everyone has a garage to store their vehicle. Instead, they are forced to leave their vehicle out on the street, or in a driveway. 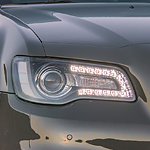 Cars that are constantly subjected to the elements eventually end up with a rugged-looking exterior. However, this does not have to be the case. A car cover can prevent damage to your car's paint and exterior components. If you are in the market for a heavy-duty pickup truck in Laplace, our team at Riverland Chrysler Dodge Jeep recommends the Ram 3500. This pickup truck is one of the best models in its class because it comes with a number of innovative features. 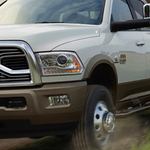 With the Ram 3500, you can choose between three transmissions and two engines. For a full-size luxury sedan that performs flawlessly on the road and looks every inch the ultimate in style, few vehicles compete with the Chrysler 300. 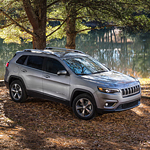 It offers a variety of exterior features that make people look twice when they see this champion coming down the road. Finding a cargo van and passenger wagon can be overwhelming, but we can help at Riverland Chrysler Dodge Jeep serving Laplace. 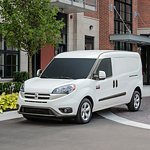 The Ram ProMaster City is a remarkable cargo van/passenger wagon because it offers a number of features that enhance performance, stability, and capability. Read more to learn about its capabilities.